Before the road-going versions dominated, these were all found on the racetrack. We all know that motorsports are good for road-car development. The technology developed for the pinnacle of racing pushes the boundaries of what we know to be possible, and with time, the tech trickles down and features in our everyday vehicles. Items like disc brakes and turbochargers all have roots in motorsport. But sometimes, more than just technology for the road starts out on the track. Sometimes, road cars themselves are born from cars developed for racing. In this article, you’ll find 10 vehicles that all started life as race cars, before becoming road-going versions. Except it isn’t all history, and . 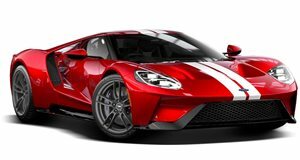 This time around, though, there were no plans to buy Ferrari, but to celebrate 50 years of the original Le Mans win, Ford announced they’d be competing in an all-new Ford GT. They announced that there would be a road-going version too, built and developed alongside the race car. Well, in 2016, ford did it again, beating Ferrari in the GTE class at Le Mans. A year later, in 2017, after the Ford GT had once again become a dominant force in racing, the road-going version debuted, featuring the same racing suspension, built-in roll-cage, and turbocharged V6 EcoBoost engine as the race car that came before it. Who would’ve said 10 years ago that Hyundai would be building honest to God hot hatches? Well when Dr. Albert Biermann – formerly of BMW M-division fame – joined the Korean brand, performance was first and foremost on his list of things to chase. He set about developing a hot-hatch based on the i30 – the European equivalent of our Elantra GT – called the i30N. But before the road-car was released, Hyundai sent the i30N racing, tackling the 24 Hour Nurburgring endurance race to prove the i30N’s engineering was up to scratch. That was in May 2017, and the road-going i30N only debuted several months later. Since its launch, it’s drawn much praise – so it’s which is pretty much the same thing in a different body shell. Ferrari’s history is one entwined tightly with motorsports. Many Ferraris were born from motorsport development, or in some cases, homologation. The Ferrari 250 first debuted as a racing entrant in the 1952 Mille Miglia as the 250 S Berlinetta. Though slower on the straights than rivals, Mercedes, the 250 S out-handled them and took the win. The car was later also entered in the 24 Hours of Le Mans. However, it wasn’t until 1953 that a road-going version would be launched, the Ferrari 250 MM (Mille Miglia), which itself went on to compete in motorsports, finishing 4th in the 1954 edition of the Mille Miglia. The Lexus LFA entered production in December of 2010, however prototypes were already competitively on the racetrack from as early as May of 2008, when the LF-A prototype was entered in the Nurburgring 4 hour VLN endurance race. The car was lapped 5 times and finished 77th of 200 entries. It took part in several more racing events along the way to production, with motorsports serving as a unique development tool, and with Gazoo Racing aiding Toyota in the development of the car that became arguably . The Ferrari 288 GTO never actually raced, as by the time development was complete, Group B racing had been canned altogether due to safety concerns. However, the 288 GTO was still supposed to serve as a homologation model (GTO stands for Gran Turismo Omologato) for the 308 GTB-based race car. The modifications were extensive from 308 GTB to 288 GTO, and the GTO ended up becoming one of Ferrari’s most famed models, and a , F50, Enzo, and LaFerrari. Though only 200 units were supposed to be built for homologation purposes, 272 cars were built, and though it never actually raced, it truly was developed as a race car first and foremost. At the 2007 Tokyo Motor Show, Subaru previewed a new hatchback Impreza WRX STI, fully decked out in rally livery as had become the Subaru way of life. The car was entered into the WRC for the 2008 season – the final season in which Subaru participated – predating the production car’s arrival in March the same year. 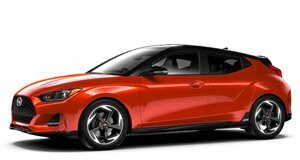 The hatchback’s lifespan was to be a short-lived one though, as a return to a sedan was more in line with what buying public wanted. 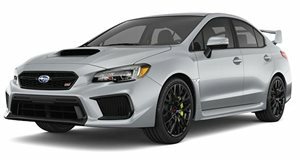 Maybe if Subaru had a sedan in the WRC they would’ve done better? Porsche’s 962 was an incredibly dominant race car during the 1980s, cleaning up at numerous championships around the world. Jochen Dauer converted stripped down 962 race cars into road-legal supercars from 1993 to 1997, with changes including hydraulic lifting suspension, a second seat, leather upholstery, a luggage compartment, and even a DVD screen in later years. Interestingly enough, Porsche used the Dauer road-going version and claimed it as homologation, allowing them to enter the GTE classes at Le Mans when LMP legislation had made the 962 no longer competitive. It would be entered into the 1994 race, where it took top honors in class, making it the race car turned road car, turned race car again. The Jaguar XKSS has had a bit of a special history, with nine cars of the original 25-car run destroyed in a fire back in 1957, only for , in order to complete the full production run of original chassis-numbered cars. The XKSS was actually a road-going version of the dominant D-Type racer of the 1950s, winning Le Mans in 1955, 1956, and 1957 before the XKSS debuted in 1957. The XKSS was even built from unused D-Type chassis, with only minor modifications made such as the addition of a passenger door and the removal of the large fin from behind the driver. The Lancia Stratos HF was an immensely compact, lightweight wedge of a car that could turn on a dime and . Of course, that wasn’t by accident as the Stratos was developed first and foremost as a car to dominate the World Rally Championship – something it did convincingly from 1974-’77. But its racing career started in 1972, where the Stratos prototypes were entered as part of their development. Production of the 500 homologation units required for Group 4 homologation only commenced in 1973, though it is believed only 492 were ever made as homologation standards changed in 1976.